One of the most important and unique aspects to oomph, is our ability to create custom furniture for clients. We can bring to life just about any idea you have - from custom color and size, to a completely new concept, we've done it all! Occasionally, we will notice common trends in these customizations, and make the decision to bring them into our line - permanently. Below are just a few of the new pieces that we created - updated versions of classics we sell every day! We listened to our clients and are constantly evolving! Have a great idea for us, don't hesitate to share it! First up . . . The Fenwick Console . . .now with a bottom shelf! The Iconic Backgammon Table - now available as a 36" Square The Harbour Island Console. A classic parsons-style console with our signature raffia surface. 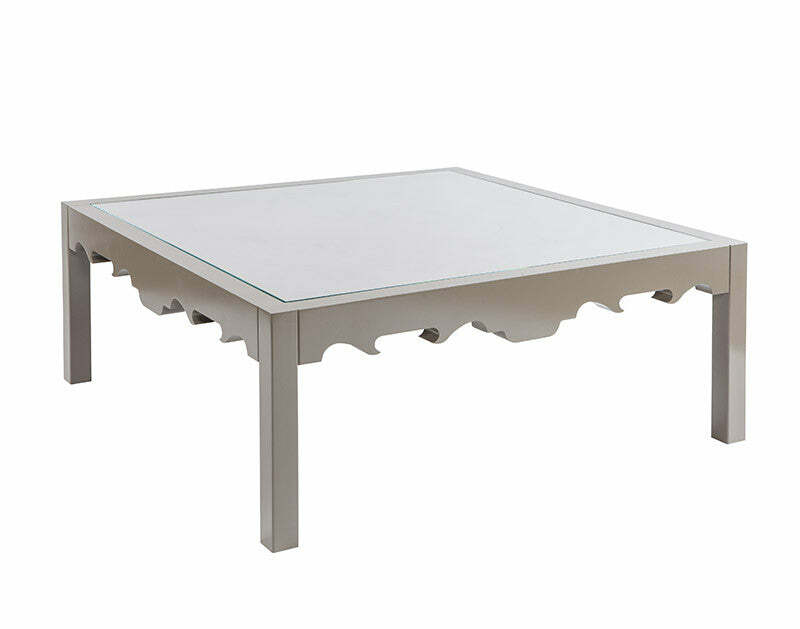 And finally, The Charleston 42" Coffee Table. The most altered from it's original. This version of the classic style has a reversed apron and glass surface. Slightly edgier than it's rectangular cousin, but just as chic. And a huge 'THANK YOU' to all of the customers who have helped us to create new designs, updates, and improvements to all our pieces!